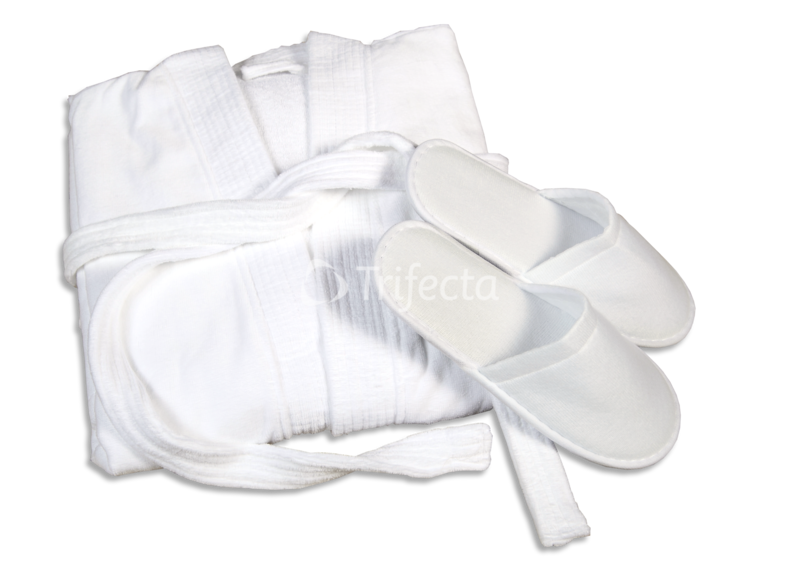 Trifecta’s elegant line of wholesale hotel sheets, bath towels, robes and slippers adds an extra touch of class to any hotel room. From bath towels to hotel sheets, robes, and slippers, our top-quality hotel bedding and linens will keep your guests feeling relaxed, comfortable, and right at home. 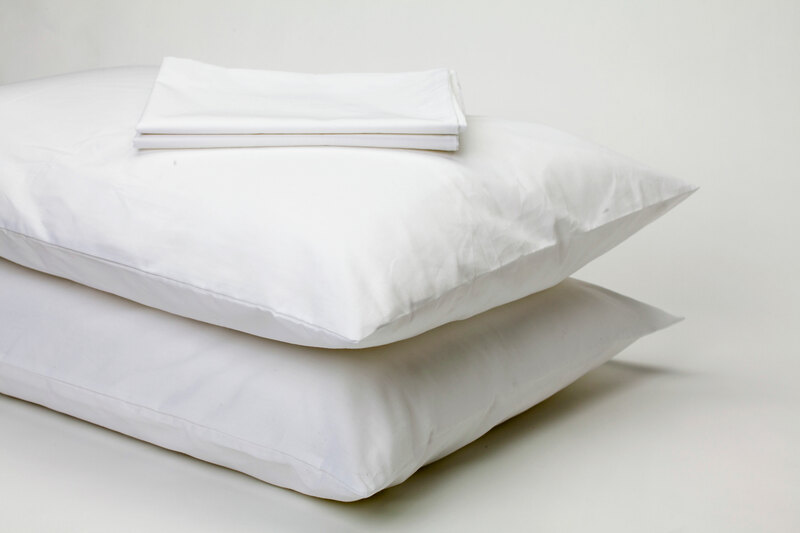 Our luxuriously soft, high thread-count sheets and pillowcases will make your guests feel like royalty as they comfortably sleep the night away. We offer a wide range of styles, fits and materials to complement the design and décor of your rooms, and can provide custom orders to meet your specific needs. Pamper your guests with our plush bath towels. 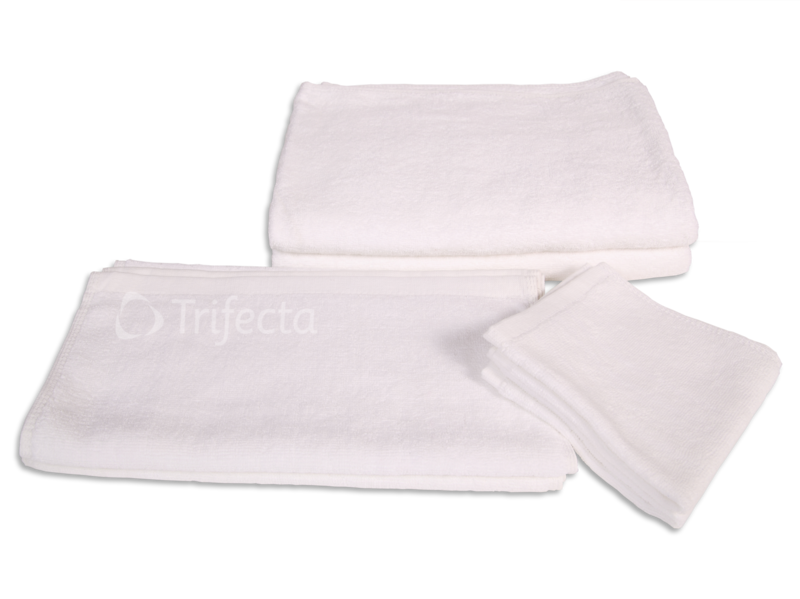 Made with extra-soft, 100% cotton, Trifecta towels can be washed hundreds of times and still come out looking new. Our plush, ultra-absorbent terry cloth robes and open-toed slippers let your guests relax in comfort and style.